Lost & Found Bellydance (formerly Gypsy Fire Bellydance), Bend, Oregon's best-known Tribal Style Bellydance troupe, has been mesmerizing audiences since 1999. American Tribal Style® is a modern American fusion of traditional Middle Eastern dance movements which celebrates the beauty, strength and grace of the female form, and the community of women who practice it. Improvisation is the key to creativity in a style which strives for uniformity of presentation. The soul of ATS® is communication among the dancers which is expressed in the group nature of the dance. The troupe was formed in 1998 in Bend, Oregon, by director Quinn Donovan Fradet. Having studied since 1994 with FatChanceBellyDance® (originators of ATS®) in San Francisco, Quinn brought this style of dance to Central Oregon, and began Lost and Found Bellydance (formerly known as Gypsy Fire). We find continuing inspiration in our fellow dancers, and in the blossoming variations of "classic" ATS® (FCBD® format). Quinn has completed the FCBD® Certification for Teaching ATS®, and is considered a General Studio (ATS®-based, yet not exclusively FCBD® movement vocabulary). While our roots are firmly planted in the structure set out by Carolena Nericcio, and FCBD®, we have adopted movements of various dance stylings, and have adapted them to our troupe's dynamic, thus creating our unique "voice." 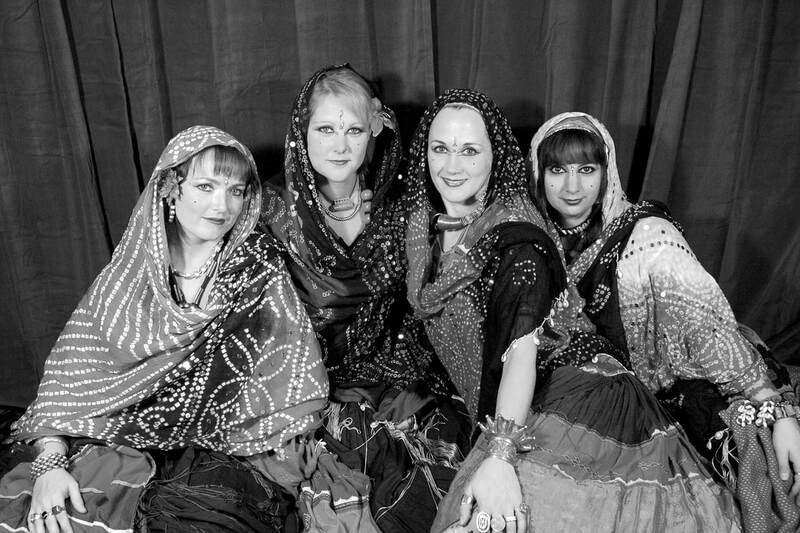 The dancers of Lost & Found Bellydance have participated in local and regional dance events since 1999, and are proud to be a part of the growing dance community in Central Oregon! 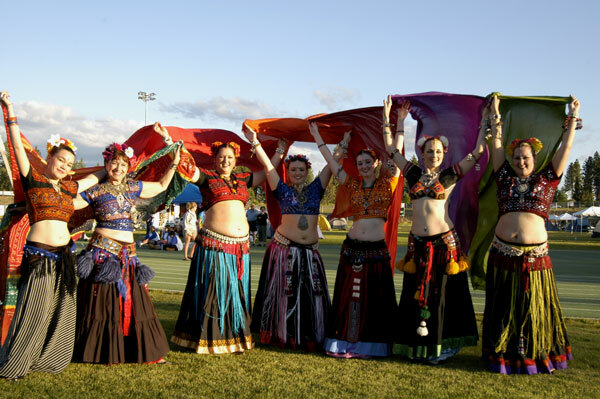 Lost & Found Bellydance has established a strong visible presence in the Bend, Oregon arts and nightlife scene, due to monthly shows at Taj Palace, and participation in local events as: Bend Summerfest, Fourth of July, The Bite of Bend, Procession of the Species, and more. 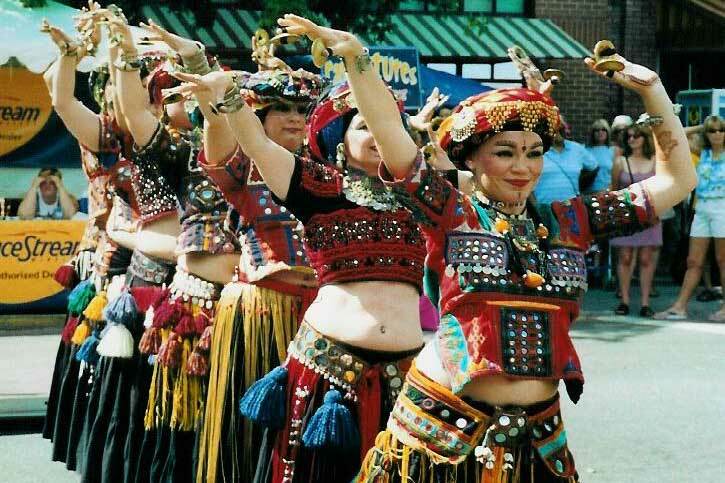 Regional events include: Tribal Fest (CA), Cues & Tattoos (Seattle, WA), JamBallah NW (Portland OR), Folklife (Seattle, WA), Mediterranean Fantasy Festival "Med Fest" (WA), The Oregon Country Fair (Veneta, OR), and the MEDGE (Middle Eastern Dance Guild of Eugene) Fall Festival (Eugene, OR). The troupe has also sponsored and co-sponsored successful dance and drum workshops in Bend, namely with Sabine and Tribalation; Solace and Blue Damsel; and Ripe Figs Rhythms and Lynea Gillen, respectively, and were sponsored to teach and perform internationally, by the lovely ladies of Association Tamam for Tribal UMRAH 2009 in Biarritz (FRANCE) and Zaghareet! from Edmonton, Alberta (CANADA).